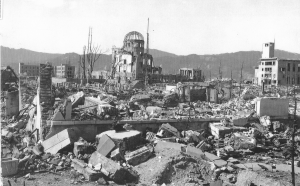 This week marks 70 years since the world’s first atomic bomb was dropped on Hiroshima, one of the most fateful events in the human history. History Learning takes a glimpse at the catastrophic incident from the eyes of one of the survivors and one of the perpetrators. The morning is clear and warm. It promises to be another humid August day in the Japanese city of Hiroshima. An air raid siren breaks the stillness, but nobody bothers to leave their homes. Observation planes fly over the city on a daily basis but they have never dropped bombs, why would today be any different? Father John A. Siemes is sitting in his room at the Novitiate of the Society of Jesus in Nagatsuke. The priest’s window looks out at the view of Hiroshima, nestled in a valley that stretches out to mountainous hinterland – he moved here to escape the devastating bombing raids inflicted on Tokyo. At 8.15, Father Siemes watches as the valley fills with a blinding white light, followed by a wave of heat. Then comes the explosion. It is so intense that he believes the enemy planes must have targeted his house. Little does he know that the world’s first atomic bomb has been dropped in the city centre – three kilometres away. 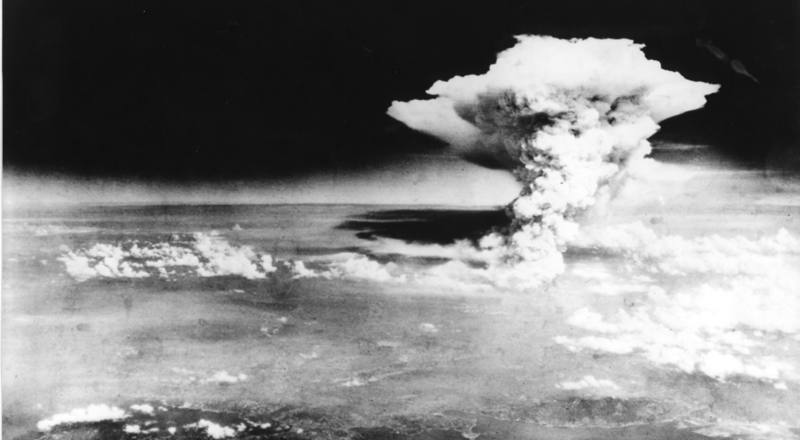 The ‘Little Boy’ bomb instantly kills 75,000 people in Hiroshima. The heart of the explosion reaches a temperature of several million degrees centigrade, creating a heat flash intense enough to vaporise all human tissue. In the following hours the death toll will soar to more than 100,000. But as Siemes rushes outside, he is unaware of this. He looks for a crater near his house where the bomb must have fallen, but before long he realises that the whole city is burning. Within half an hour crowds of people are stumbling towards the house. Siemes and the other priests treat the refugees’ burns in the chapel until they run out of space and medicine. Over the next few days they watch as the city burns and thousands more people die from burns and the effects of radiation poisoning. The final death toll from the dropping of that single bomb stands at more than 20,000 soldiers and as many 145,000 civilians. For decades the US military kept a tight lid on all photographic and video media of the bombings and the aftermath, only releasing carefully selected photos. It was over twenty years later that a video news report (see below) was broadcast in America, and even then made the point that the bombs were targeted at and largely only affected industrial plants and areas. What is not mentioned is that 80% of people who died immediately in Hiroshima and Nagasaki were in fact civilians. And of course what they didn’t know at the time was that the insidious nature of radiation poisoning meant that many thousands more would die in the weeks, months and years following the explosions. More objective footage was shot by a US military team, including Lt. Daniel McGovern, who was also a member of Hollywood’s First Motion Picture Unit, and a Japanese camera crew in early 1946. Once it was shown to the upper military echelon, it was deemed to sensitive to show to the public and kept as a top secret archive until the 1980s. The video below reveals highlights of the estimated 20 hours of colour footage and does not disguise the absolute devastation caused to the cities and population, revealing scenes of human suffering from burns and ongoing radiation poisoning. And what of public opinion today? According to a Pew Research Centre survey carried out in February 2015, the majority of Americans – 56 per cent- thought that dropping the atom bomb on Japanese cities was justified. In contrast, 79 per cent of Japanese respondents said it was not justified. Seven decades later, on the 70th anniversary of the bombing of Hiroshima and Nagasaki, the world is still asking the same question.